This Reader Reward is now closed. Congratulations to our winner, Jessica Davis! 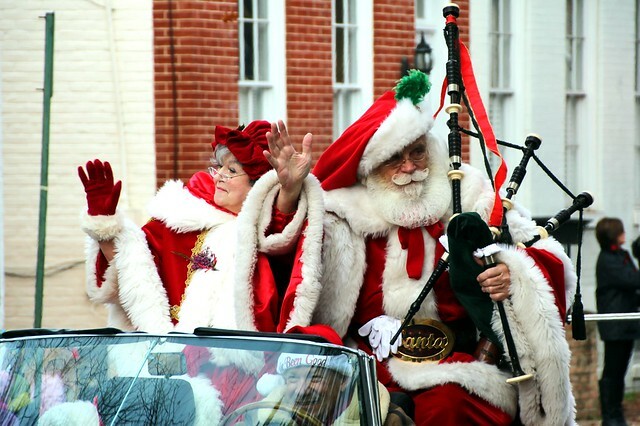 Cue the bagpipes and pour yourself a finger or two of Scotch because Alexandria's Scottish Christmas Walk Weekend is just a few days away! We're celebrating the weekend by giving away two tickets to the always amazing Holiday Designer Tour of Homes. Read on to find out which homes will be showcased and how you can enter to win. The weekend's festivities mark The Campagna Center's 45th annual celebration of Alexandria's Scottish heritage and the start to the Christmas season. And it also marks one of our absolute favorite weekends of the year where locals and visitors alike get to experience a little of what makes historic Old Town Alexandria so very special. The events of the weekend take place from December 4th to 6th, but the core of the weekend's celebration take place on Saturday. 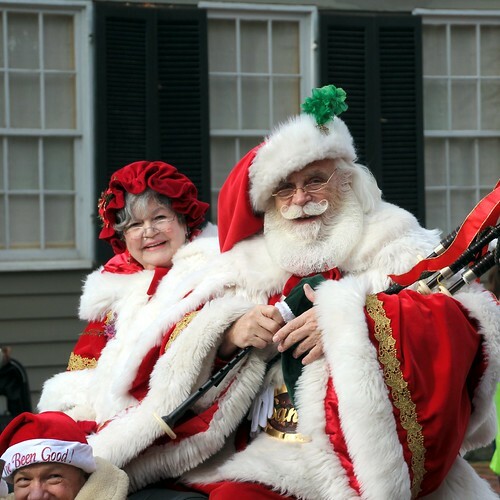 The Christmas Walk itself starts at 11:00 and winds with bagpipes, dogs, and Alexandria's represented clans through the historic streets of Old Town. Then the Holiday Designer Tour of Homes (from 11:00-4:00) highlights many of Old Towns very historic properties completely decked out for the holidays. This year's tour is going to be a great one and highlights the following five Old Town 18th and 19th century historic homes. This two-story 1870 brick townhouse with a rare attached Charleston-style side porch is a jewel of North Columbus Street. It has been owned by several prominent Old Town residents, including Worth Hulfish, owner of a hardware store in 1895; Frank Warfield, a druggist who worked at W.F. Creighton and Co; R.L. Goods, an engineer on the Southern Railroad; and Denys Peter Myers, an architectural historian with the National Park Service. After restoring several rooms, including a recently completed kitchen renovation, the current owners furnished the elegant Victorian three bedroom home with antiques, original art, and family heirlooms. The home has been decorated by the homeowners with the floral arrangements donated by Free Spirit Floral. Free Spirit Floral offers a commitment to artistic excellence and personal service in floral design. The Michael Swope House, named after its first owner, a Revolutionary War hero, stands with distinction on Gentry Row. The lot the home stands on was originally purchased by George Washington’s half-brother, Augustine Washington, in 1749, and was then bought by William Ramsey in 1751. The home was built between 1784-86. Much of the interior woodwork is original to the house. The homeowners have made a few renovations to the home, including a small powder room off the dining room, the restoration of the dining room fireplace to its original arched brick design, and a customized wine cellar with a beautiful gas ceiling lamp. The home will be decorated by family and friends with floral accents donated by Fleurelity. Fleurelity is a small local business offering unique floral arrangements at an affordable price. 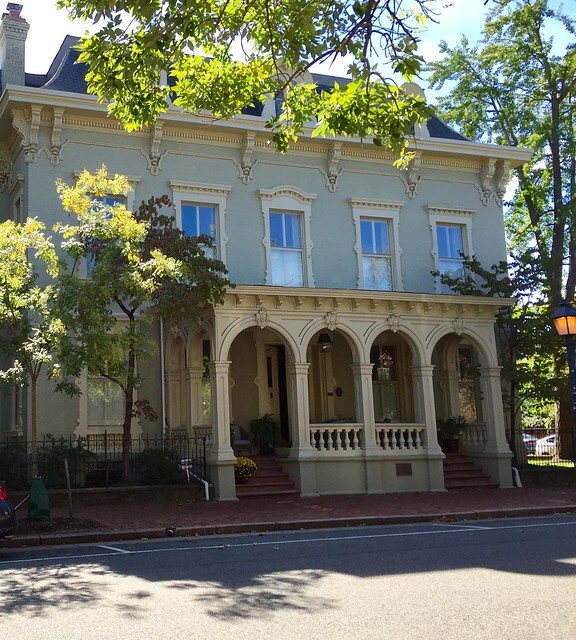 This historic home was built in the mid to late 1800s by local Alexandria architect, Benjamin Franklin Price. The imaginative design is influenced by the Victorian Gothic revival with pointed arched windows and simple bracketed cornice. Original pine floors can still be admired in the traditional “double parlor” rooms on the main level as well as the second level landings and the third floor bedroom. The modern renovations were completed in 2013. The home is furnished with art and decor pieces referencing one of the owner’s Scottish heritage, a perfect way to celebrate the Scottish Christmas Walk Weekend, both inside and out! The holiday decor will be created by Casey Sanford of Casey Sanford Interior Design with the floral arrangements donated by Flora Couture. 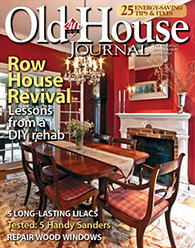 A resident of Old Town, Casey Sanford offers interior design services, customized to the clients’ desired tastes. Local to Alexandria, Flora Couture provides tailored floral design, expressing the clients’ personality and style. Known as the Pomeroy House, this home was built by William Pomeroy in 1804. 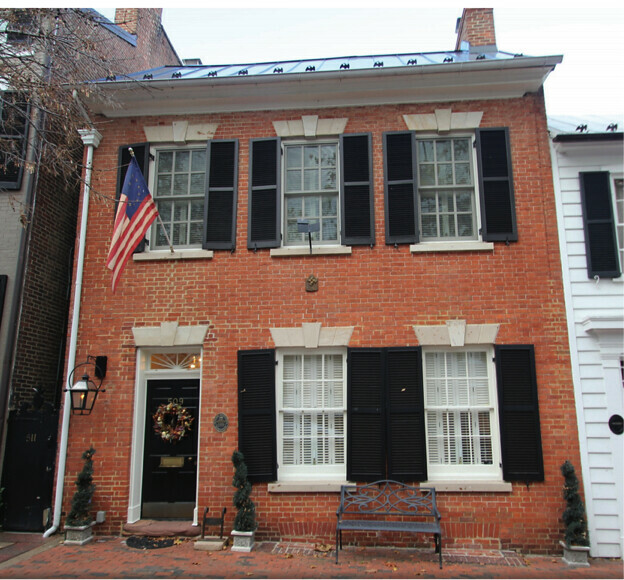 It is believed that Thomson F. Mason lived in the home in 1816, 11 years before he became mayor of Alexandria. Mason, the grandson of founding father George Mason, was instrumental in the fight to separate Alexandria from the District of Columbia and was elected mayor three times, serving from 1827 to 1830. From an architectural standpoint, it is one of the few original “flounders” in Old Town and underwent very little change until 2007. The owners worked with builder and architect, Linda Serbian, to ensure much of the historic character, such as the fireplace mantles, moldings, trim and hardware were preserved while adding modern touches to the home. The holiday decor has been created by Ashley Baker of Ashley Baker Designs with floral arrangements donated by Wegmans Alexandria. Ashley Baker Designs offers design services for projects big and small. Wegmans Alexandria creates custom designed centerpieces that simply amaze. This Federalist style home was built in 1802 by Mr. Thomas Swann, a prominent Alexandria attorney. When Henry Daingerfield purchased the house in 1835, he began to give the home a new “Italianate” and Victorian architectural look. The building was a part of St. Mary’s Academy and was also used a nurses’ residence and training school before it was sold to the City of Alexandria in the 1970s. 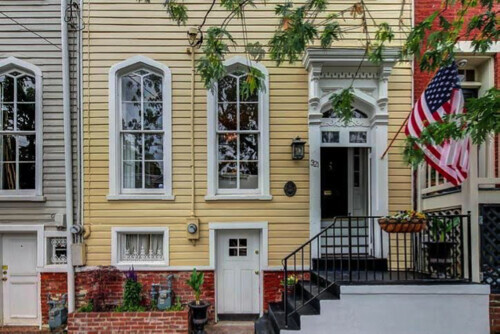 Recently updated by the current owners, the design theme preserves and emphasizes the architectural beauty of the original 1802 home while incorporating many modern elements. The house holds a collection of unique art, including Buddha statues from the 1700s, a Khmer statue, and black-and-white photographs taken by famous 20th century photographers. The home has been decorated by family friends with the floral arrangements donated by Helen Olivia. Helen Olivia is a high end retail florist, offering stunning arrangements creatively composed in their unique signature style. In addition to the houses on the tour, St. Paul's Episcopal Church will be open as a rest stop for those who want to take a break for a moment. PRIZE: Two tickets to the 2015 Scottish Christmas Walk Weekend Holiday Designer Tour of Homes. Tickets retail for $35 per person. GIVEAWAY CLOSES: Thursday, December 3rd at 11:59pm EST. AND THE WINNER IS: One lucky winner will be chosen by random.org and announced on Friday, December 4th, so be sure to come back then to see if you're the winner. 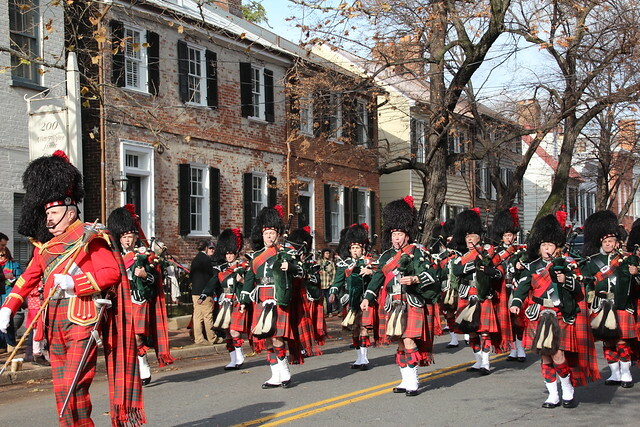 PRIZE REDEEMABLE: The tickets can be used for entry to the 2015 Scottish Christmas Walk Designer Tour of Homes in Alexandria, VA on December 5, 2015, between 11:00am and 4:00pm. For an additional (optional) entry, Like my Facebook page or follow my Instagram account, for a look at local real estate, home improvement tips, and design inspiration. WHO'S ELIGIBLE: This Reader Reward is open to anyone who plans to be in Alexandria, VA on December 5, 2015 and can attend the tour in person. Please see our complete terms & conditions page for more details. If you're interested in learning more about the event and purchasing tickets, please visit the Campagna Center's event webpage. HOLIDAY HOMES!!! I've always wanted to see the inside of the Pomeroy House! HOLIDAY HOMES. I'd love to see inside the homes I have been admiring for a decade! HOLIDAY HOMES. I am ready for Christmas lights, scents, and decor as only Old Town can bring. Homes I can't afford to live in! Their decorations and since I'd admire them for years, the inside of the homes. Holiday Homes! Looking forward to seeing antique mantels adorned with beautiful Christmas decor. 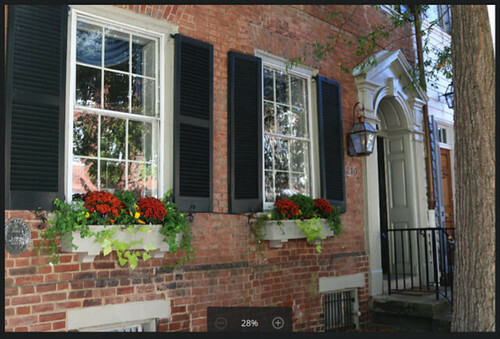 Would love to see any of the historic homes decorated with a modern traditional twist. I need some ideas for my own decorations! I would love to see the inside of homes, I have admired for years. Seeing them dressed for the Holidays is an added bonus. HOLIDAY HOMES! I'm especially excited about the prince street house because I walk past it so often! Holiday Homes! 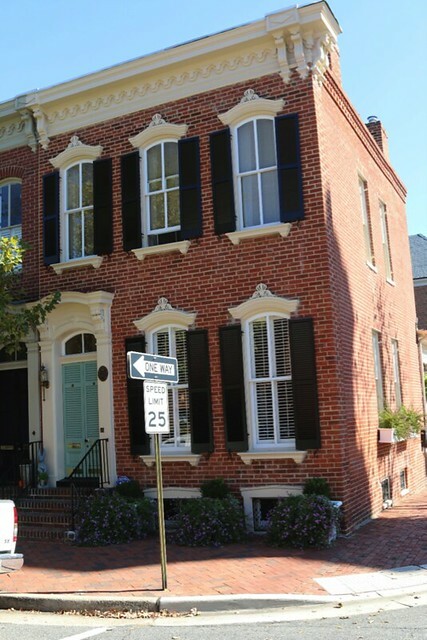 Would love to see all the homes, but particularly the one on Prince Street, one of my favorite streets in Old Town! Lived around the corner from 712 Prince for years and always wanted to see the inside! "Holiday Homes" I would love to see the inside of these fabulous homes and also get some holiday decorating ideas. "Holiday Homes". Thanks for providing the opportunity for all of us to visit these historic homes and enjoy the best of Old Town. All for a wonderful cause! 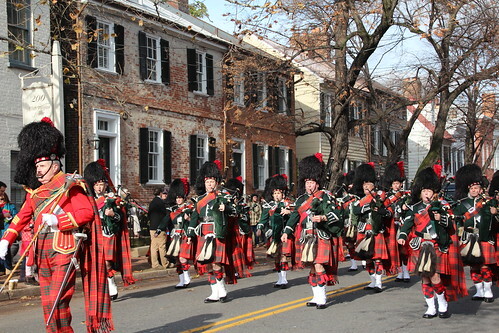 The Alexandria Scottish Christmas Walk has become a holiday tradition in our house. I would love to make the home tour part of the tradition too. HOLIDAY HOMES! I have started my decorating yet ( December came so fast!) so I'm excited to get decorating inspiration from these houses! Following you on instagram too! HOLIDAY HOMES! I love Scottish Walk Weekend but have never had the chance to do the tour of homes. I love old, historic homes and always am curious what Old Town's houses look like inside. I can't wait to see how they look all decked out for the holidays and get some good ideas for myself! HOLIDAY HOMES! I love looking at the Alexandria homes from the outside and can't wait to see the insides all decorated for Christmas. HOLIDAY HOMES! I love walking old Town and I'm excited to see how each of the florists does their decorating a little differently in these magnificent homes! I won the tickets several years ago. It was great fun! My trip to DC is a week too late this year so no entry for me. I would love to see the inside of 712 Prince Street. My fiance works just around the corner from there, and I routinely park near it when I pick him up from work. I've probably taken 30 pictures of it at various points of daylight and seasons since it's always so beautiful. I'd love to surprise him by taking him on the tour! Thank you so very much for offering this opportunity to your readers! I am excited to spend a day walking charming Old Town seeing how the residents of stunning homes I have admired for 15 years live and decorate- I am grateful for people like you who celebrate living and inspire me. Happy Holidays to You & Yours!!! HOLIDAY HOMES. Unfortunately the fern balls at 201 N Columbus st have already started to take the winter off. Would love to get an inside look at the architectural details of these homes. HOLIDAY HOMES in Old Town are the prettiest, most unique I've ever seen and I love them all! How I wish I could visit Holiday Homes in Old Town one day. My friend Annie was there last year and she told me how beautiful the place was, as well as the house decors and people.